BidWinCruise - Spring Launch Collector Car Online Auction! We are now accepting consignments for our inaugural event. You can submit and upload your own photos and descriptions or we will do it for you. Inspection - All consignors will be required to offer a public inspection of the vehicles in the auction. 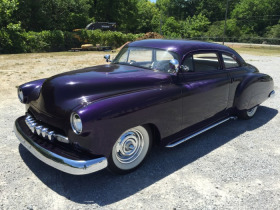 You can bring your consigned vehicle to the Pearce Auction Center at 720 Fulton Springs Road, Alabaster, Alabama on Saturday May 28th, 9am until 3pm or offer your own inspection location and time for the public to view. Pearce & Associates will collect funds on behalf of sellers. Payment by Certified funds, Cash or Bank Wire Transfer. We will accept credit card payments up to $1,000. All consignors must have a copy of a current registration to participate. The only exception will be project vehicles. All vehicles are sold as is, where is. Auction will be cross promoted on MarkNet Alliance Partners websites as well as ove 200 additional websites. Email blast to over 400,000 registered bidders worldwide. Check back as we prepare a bidding catalog for your participation! There will be a 7% buyer’s premium added to final bid price.